Continues Friday-Monday until October 25 at The Wild Project, 195 E 3rd Street, Alphabet City. 8pm Friday/Saturday, 7pm Sunday/Monday. $17 advance, $20 doors. More info and tickets here. Shakina Nayfack is back with Post-Op, a companion piece to her earlier one-woman show, One Woman Show. That title becomes less redundant-sounding when you realize that Shakina is not only the founder of new musical development organization Musical Theater Factory, she is the only trans woman to receive a Lilly Award (recognizing outstanding contributions to American theater by women). Shakina has teamed up with a group of cutting-edge new musical theater songwriters to musically welcome you into her life and journey to Thailand for her “gender confirmation” operation. Seeing someone so rarely represented onstage in the world of musical theater utilizing this very form to tell her own story is not something you want to miss. 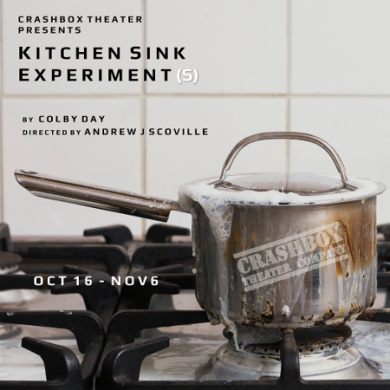 Continues through November 6 at a Bushwick apartment, address revealed with $28 advance ticket purchase (required). 8pm, some performances at 2pm. More info here. A couple unsurprisingly learn more about themselves by being constantly studied by a scientist in their own home in Crashbox Theater Company’s new play written by Colby Day and directed by Andrew J. Scoville, who is also directing an upcoming site specific piece at the Hudson River Park featuring hyperintelligent social robot Bina48. Don’t bring a massive crowd; this play takes place in an “authentic Brooklyn apartment.” If it’s so authentic, how are they going to fit an audience anywhere? Only one way to find out. 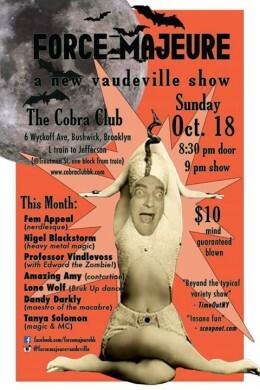 Monthly at The Cobra Club, 6 Wyckoff Avenue, Bushwick. 9pm; tickets are $10. More info here. 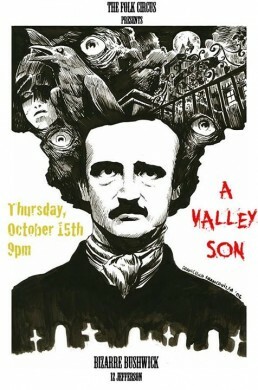 The October edition of this monthly vaudeville variety show (say that five times fast) gets extra spooky with performances by “horror/sci-fi/pop burlesque supernova” Fem Appeal, Edinburgh Fringe Fest fave Dandy Darkly, magician Nigel Blackstorm, The Vindlevoss Family Circus, Lone Wolf, contortionist Amazing Amy, and MC Tanya Solomon. Weirdness abounds, just a few steps away from the Morgan L.